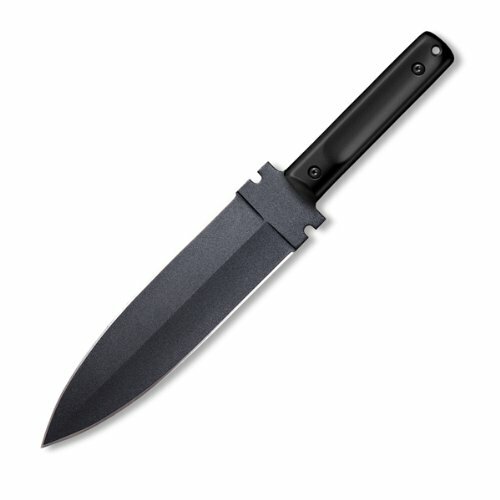 Committed to making the sharpest, most heavy duty knives known to man, Cold Steel Knives has established a reputation as one of the leading manufacturers of knives around the world. For the past 30 years, they have been at the cutting edge of numerous innovations that have aided in shaping the knife industry as a whole. They gave numerous buyers something to be excited about with the Kraton handles and tanto point blade styles, which have gone from remarkably fascinating to industry-wide trademarks of excellence and superiority. Now, if you’re into daggers, then you will surely love Cold Steel’s very own War head. It is the company’s own version of the early American blade, known during the time as the “Trade Dag”, which was greatly valued throughout the frontier for its extreme versatility and functionality. So let’s take a look at more of the essential details about this very intriguing knife design from cold steel. The War head is made out of 1055 Carbon steel with a durably spring temper and, like the original, features sports twin razor sharp edges and lashing notches. 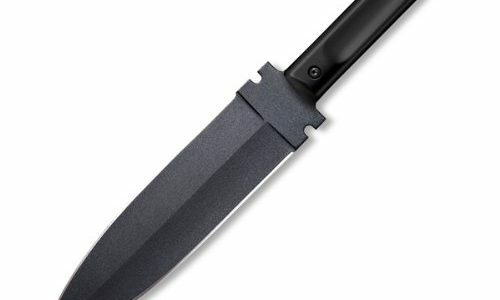 The knife is a whopper with an 8 1/2″ long blade and is extremely sharp. When you give its two double edges the old perpendicular thumb scrape, you will get that “goose-bumps-sharp” feeling that you may be looking for in your knives. Its double edges can easily cut through flesh and, much like the tip of a spear, can pierce through the body and create fatal damage. The design of its blade – resembling that of a Gladius, the standard sword of the Roman legionnaire – makes it the perfect defense knife. It can also be a decent survival knife but it can surely make short work of an attacker when you’re in a fight for your life. You will surely feel a lot safer having this knife around with you! The Warhead comes with Polypropylene handle scales for a solid grip. The handle is 5 ½” in length giving a balance, dexterous feel to your handle for quick, powerful slashing and piercing action. Its relatively long handle allows you to juggle the knife to and from your hands with ease – great for entertainment purposes! It also comes with a sturdy Cordura nylon sheath so you can use and carry it conveniently. With its size and flexibility and most notably that it converts easily to a spear, you can’t help but fall in love with the Warhead. And it’s surprisingly lightweight for its size! Feels like you’re using a pocket knife which is simply amazing because it allows extremely fast handling without anything slowing you down. Coming in at less than $25 and manufactures from a well-established brand, you will surely get more than your money’s worth when purchasing the Cold Steel Warhead.